Hello friends, family, and loved ones, this is Brian with Team Be Like Bamboo. We just had a great rest day today (at 15,500 feet). We had pancakes, and bacon, and eggs for breakfast. We had soup and quesadillas for lunch. We had macaroni and cheese, and then a dessert after that for dinner. Very, very nice, restful day. Everyone’s feeling strong. 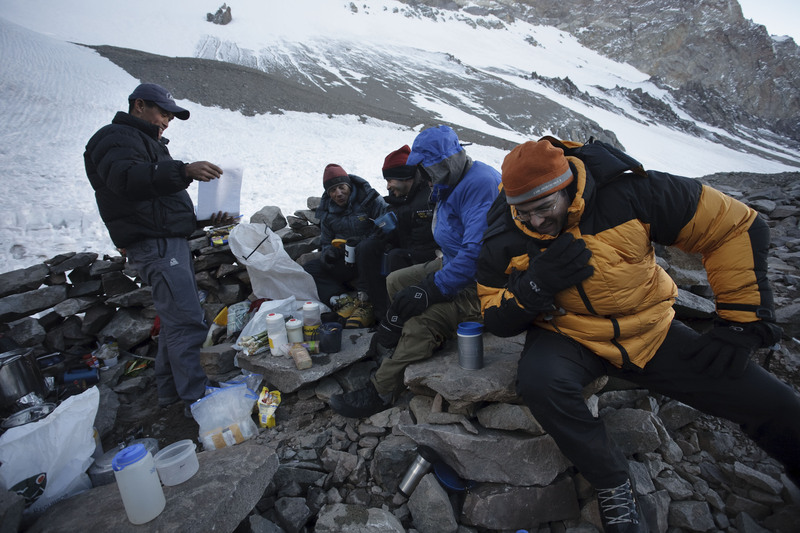 And tomorrow we’re going to move up to Amagino Col (at 17,200 feet). Everyone has just settled down into their beds for a good night’s sleep. And that’s it for now. Stay tuned for a future cybercast. Team Pancake calls in with a happy new year wish for everyone!